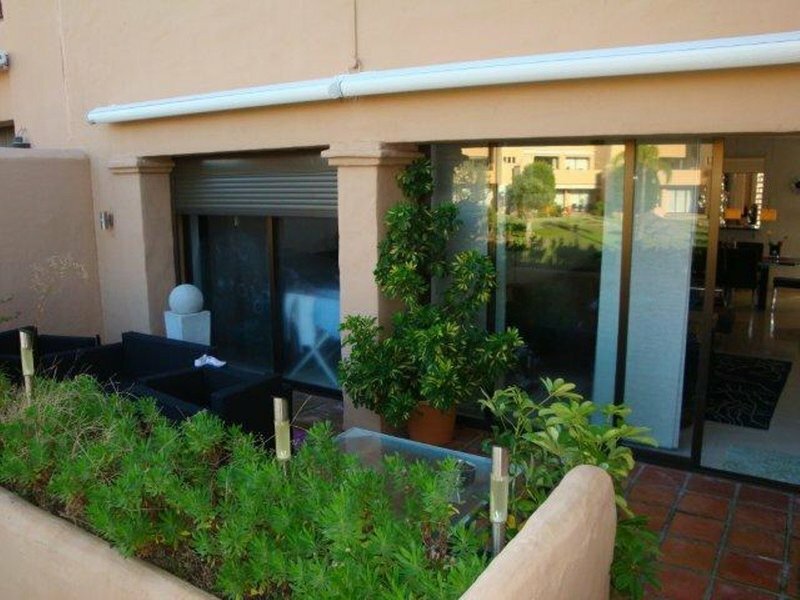 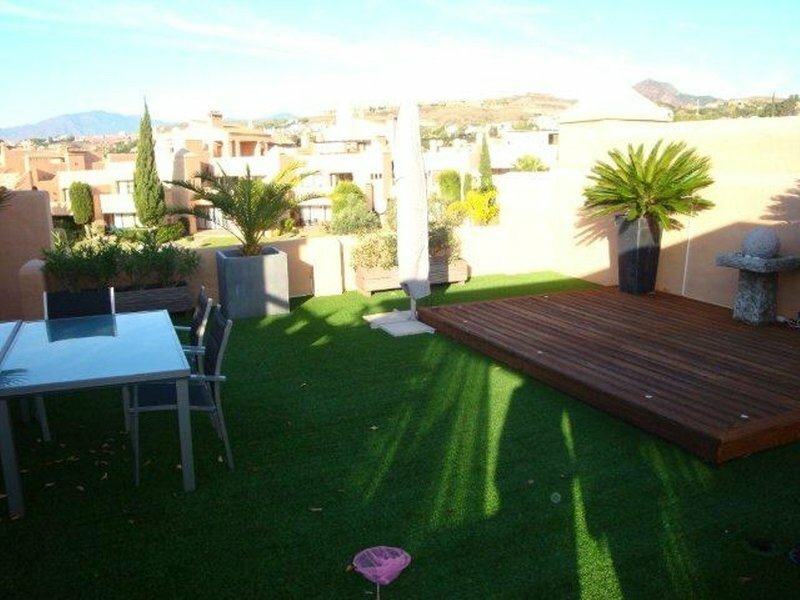 This two bedroom apartment is located in the quiet residential area of La Cartuja golf close to the Atalaya golf course. 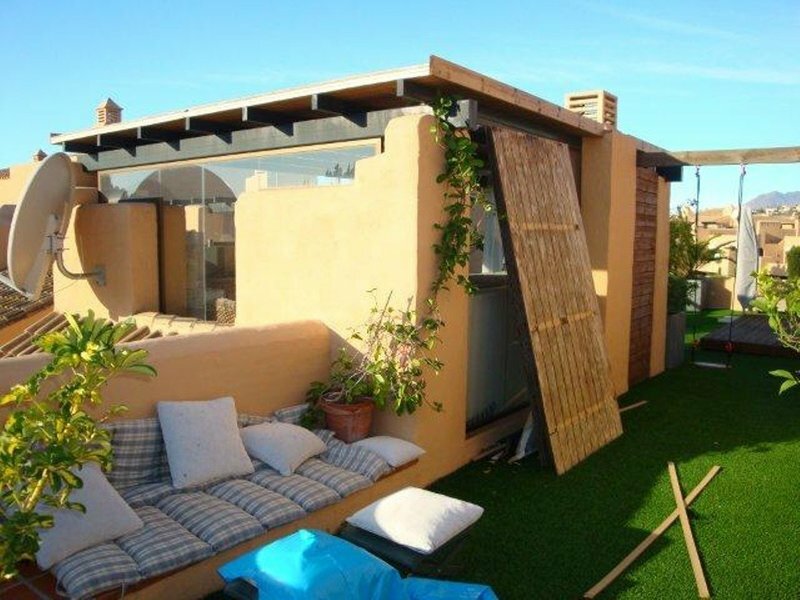 The outstanding feature on this property is the 105m2 roof terrace, which the owners have made into an amazing barbecue area with an illuminated teak stage and a seperate room, which is almost closed off with glass windows. 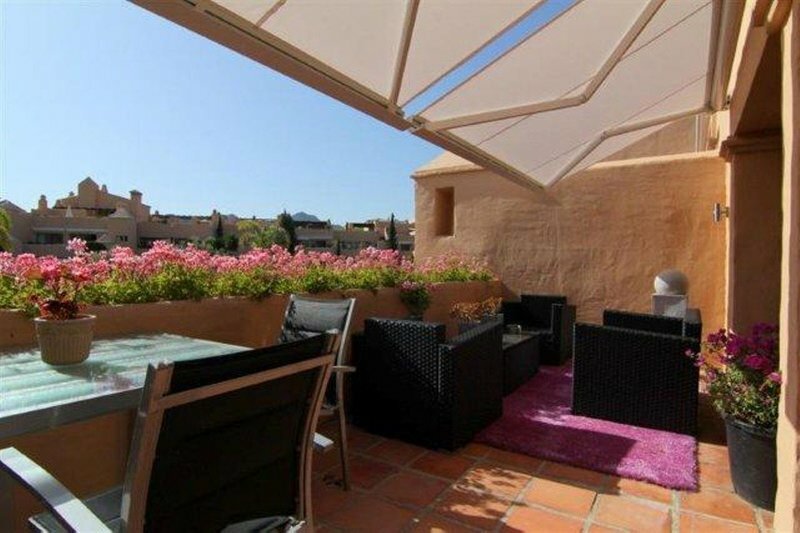 This terrace is ideal for anybody who wants to enjoy the wonderful sun all day and all year long. 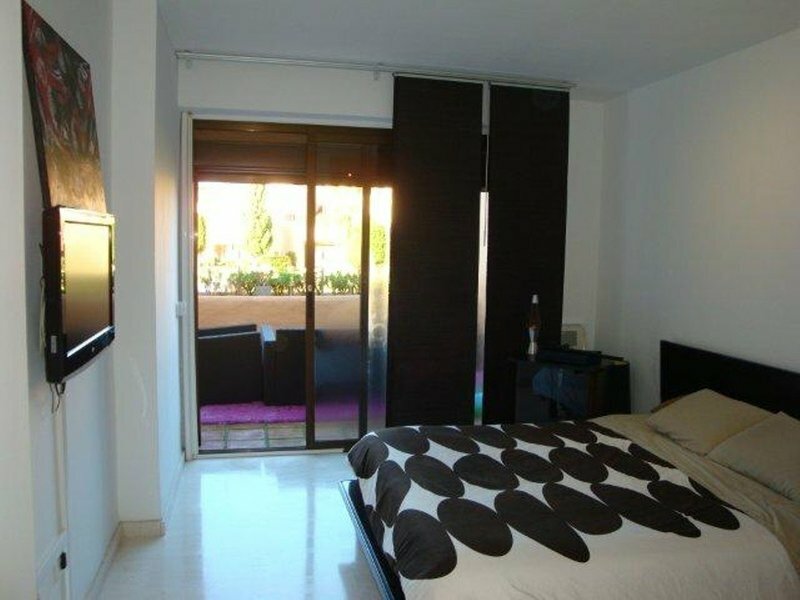 The apartment has beed renovated to a high standard. 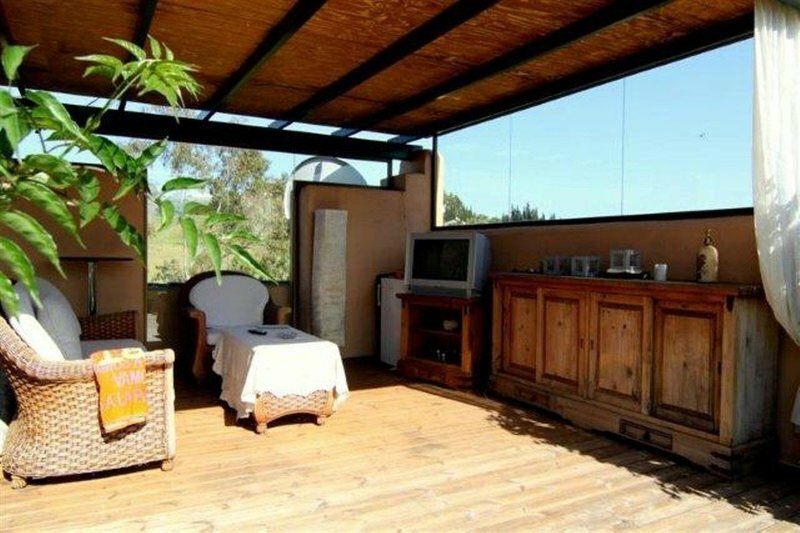 The living room is very spacious and has an open fireplace. 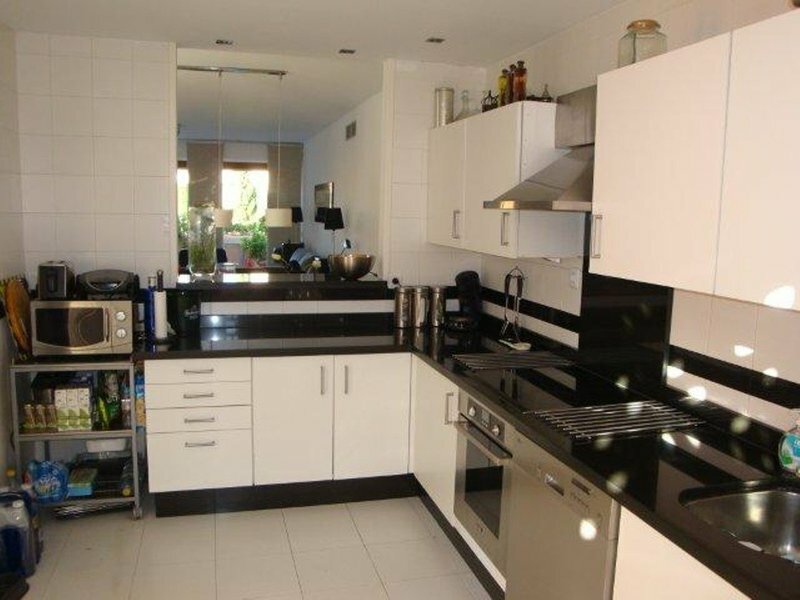 The kitchen has been newly renovated with black granite surfaces and white cupboards, giving it an elegant feel. 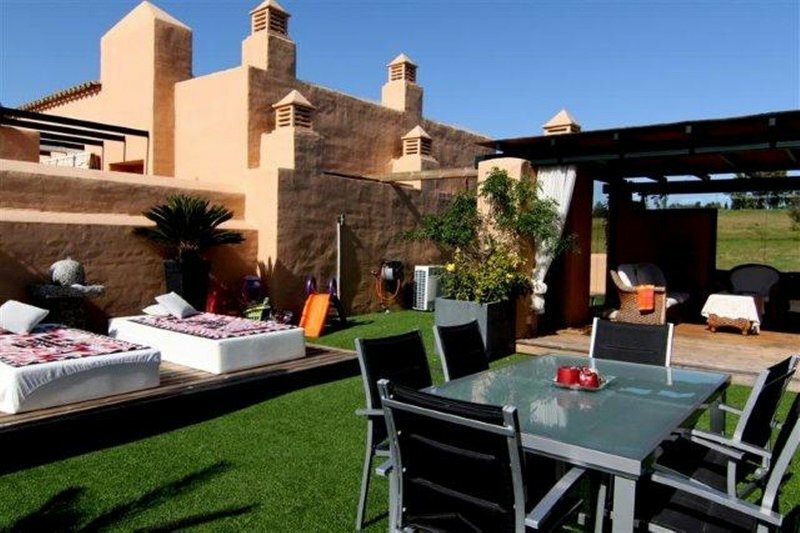 Both bedrooms have an en-suite bathroom with bathtub and the main bedroom has access to the same terrace as the living room. 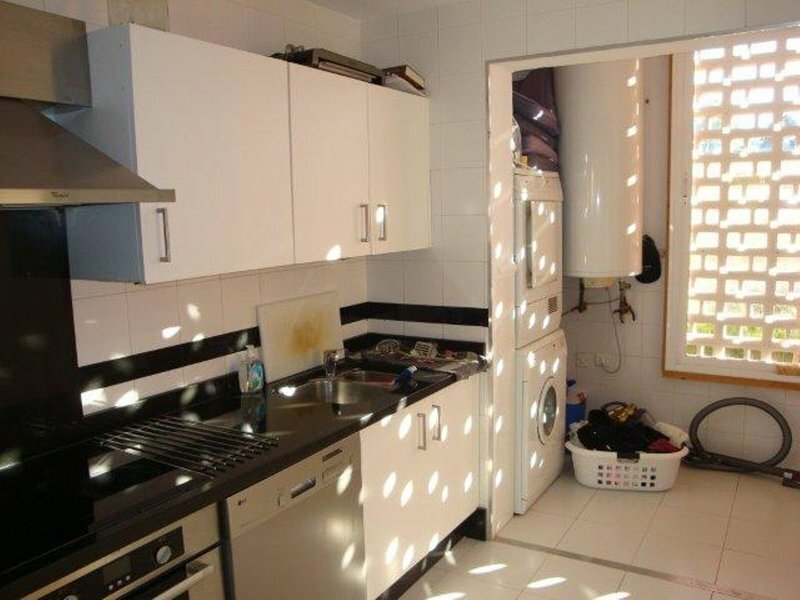 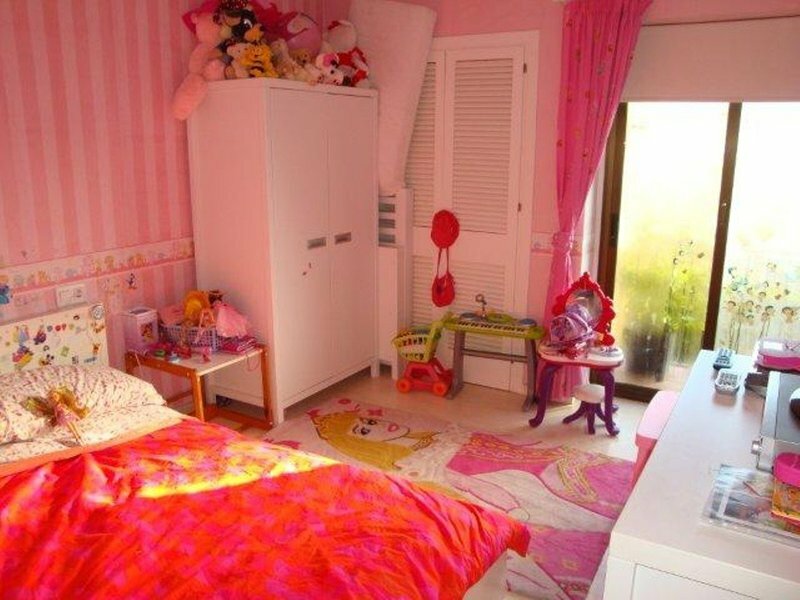 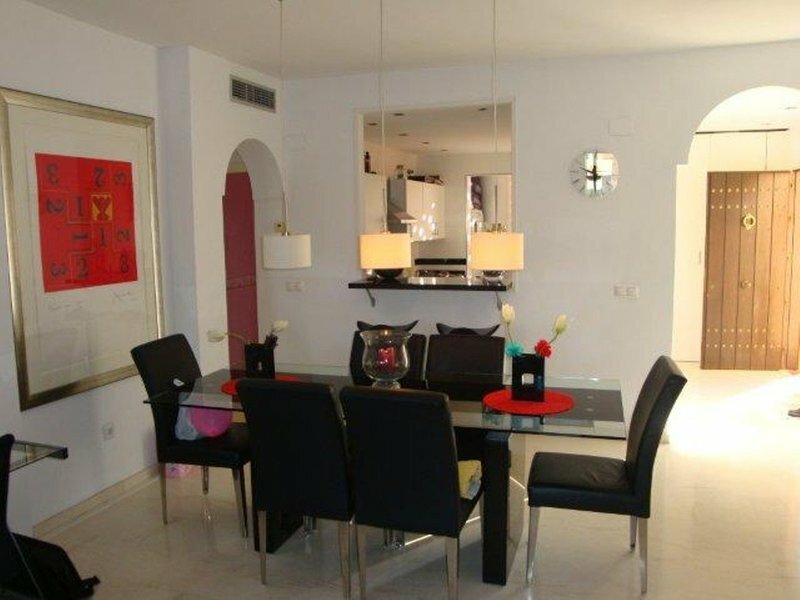 It is an exceptional property, which anyone will appreciate who sees it. 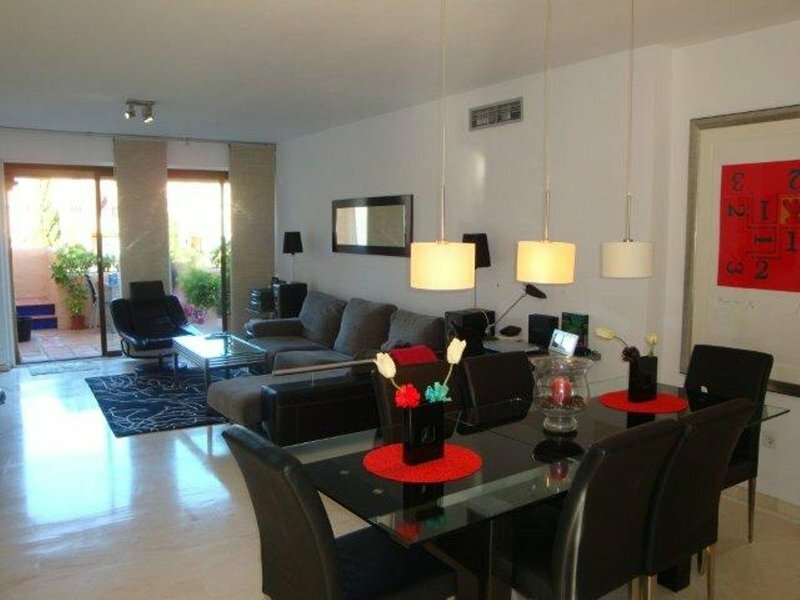 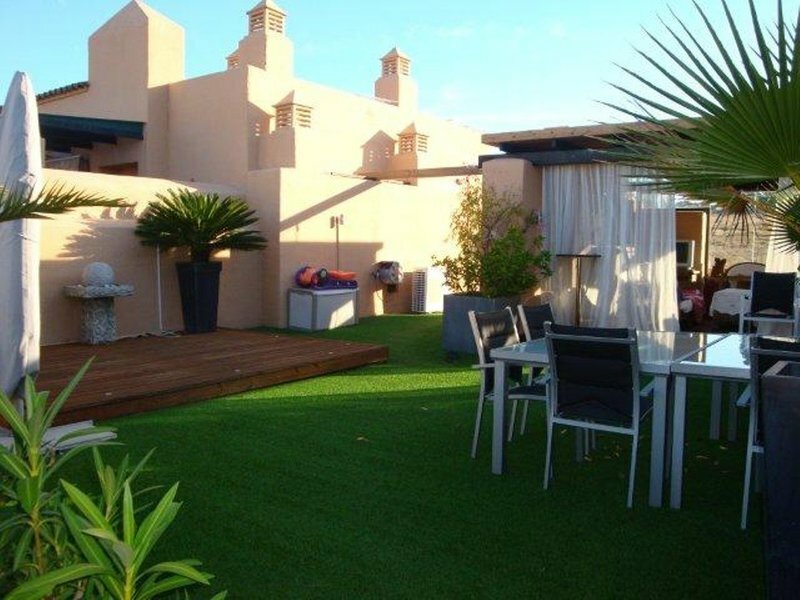 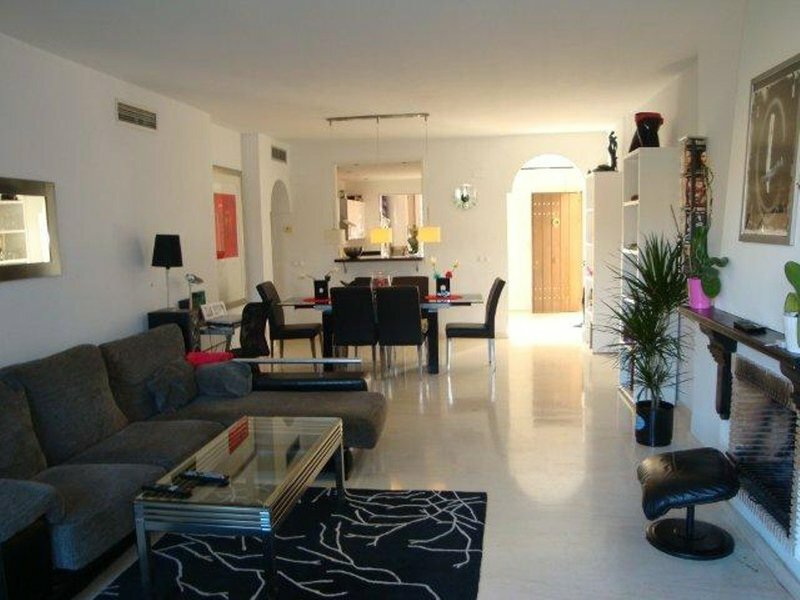 Apartment for sale in La Cartuja del golf - Benahavis - Estepona - Costa del Sol - Andalusia - Spain.